MDC co vice president engineer Elias Mudzuri’s bid to challenge for the party presidency at the upcoming congress seems to be hitting a brick wall with two provinces ignoring the former Harare mayor while endorsing the incumbent Nelson Chamisa. The MDC’s United States of America (USA) chapter and Matabeleland South province have all gamboled Mudzuri on their nomination lists even for any influential posts in the MDC, instead going with party deputy chairperson Tendai Biti who received a nomination alongside Morgen Komichi and Professor Welshman Ncube to deputize Chamisa. When 263Chat reached out to Mudzuri, he insisted that he is still in the race to face Chamisa. “I’m still in the race. I will only be able to tell you which post I will contest. As someone who was out of the country I still need to establish whether the processes for nominations were fair or not. Our party has rules that we must all adhere to, if one campaigns before the nominations then that is against our party constitution,” Mudzuri said. Party Organising secretary and Mkoba legislator Amos Chibaya who is the overseeing preparations for the congress told 263Chat that the nomination process was above board. “The nomination process was peaceful yesterday and everything was above board. 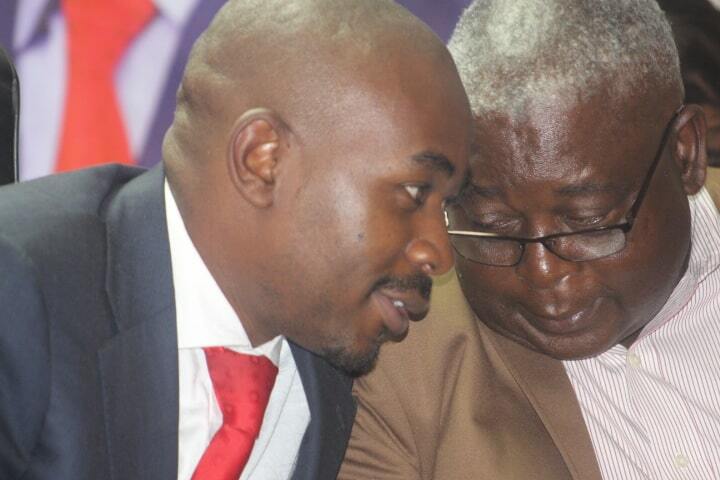 I salute the MDC members for their peaceful conduct in the processes from the beginning to the end,” he said. The MDC leadership will be in Matabeleland North today for the provincial congress. Mudzuri fell out of favour from party supporters post the late party founding father Morgan Tsvangirai who succumbed to cancer of the colon in February 2018 after engaging in a battle to takeover party leadership only to lose out to Chamisa.